Polywell Industrial Co. o/b Firstway (H.K) Ltd. a vertical and integrated company which manufacture and export plastic bags from China / Hong Kong, was found in 1991. We specialize in manufacturing different styles of LDPE/HDPE, CPE, PP Woven and Non-woven bags. 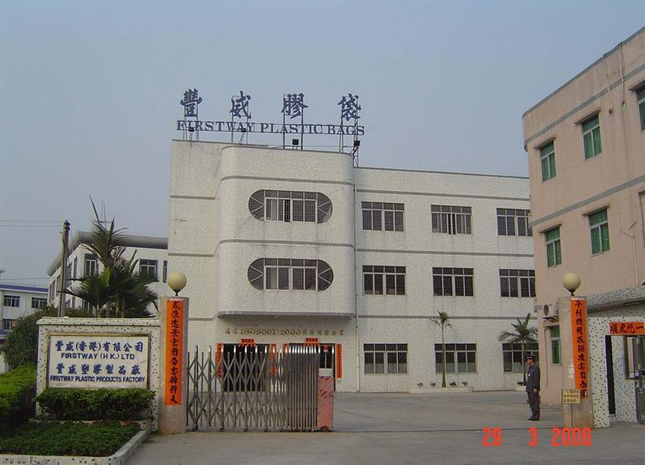 Our wholly owned factory Firstway Plastic Products Co., Ltd. which located in DongGuan China has employed 300 skillful workers. We offer experts to inferior plastic packaging bags, such as Die-cut handle bags, Patch handle bags, Flexiloop handle bags, Rope handle bags, Clip lock handle bags, Duffel bags, T-shirt bags, Garbage bags, zip-lock bags, Butcher bags, Bags on roll, Bread bags, Shrinking film, bubble mailers, shoes cover and apron etc. We can print up to 12 colors Rotogravure and 8 colors Flexo printing. Bags material can be LDPE, MDPE, HDPE, COEX, BOPP and CPE. In response to market's demand for Eco-Friends bags, we have set up another production line for PP woven, Non-woven and PET bags since 2004, which can be plain or with full color printing laminated. Our factory has got the ISO 9001 quality certification since Feb 2003. We serve our buyers with good quality and prompt delivery. Factory Address: Shang Keng Industrial Zone, Chang Ping Town, Dongguan, Guangdong Province, China. 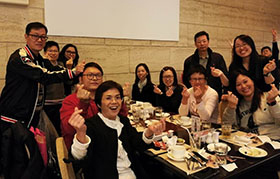 Company Name : Polywell Industrial Co. o/b Firstway (H.K) Ltd.
HK Office : Unit H, 17/F, Legend Tower, 7 Shing Yip Street, Kwun Tong, Kowloon, Hong Kong. Factory Address : Shang Keng Industrial Zone, Chang Ping Town, Dongguan, Guangdong Province, China.